So I have a couple bits of information for you. 1. The release date for Faebourne has been pushed back a bit. I really resisted doing this, but in order to give you the best possible book, it’s going to take me a little more time. And I’d rather give you a good book than a rushed one. The new publication date is 4 September. 2. For those of you in the Bay Area, I’ll be giving a presentation about writing and publishing at the Livermore Public Library in November. Yes, it’s some months away! But mark your calendars now so you don’t forget: 15 November, 7:00 p.m.. I’ll talk about the writing process and also about various publishing options. Just in time for NaNoWriMo! And finally, a reminder that Brynnde is now available in audiobook format. You can pick it up here. And then you’ll finally know how to properly pronounce “Brynnde”! If you’ve been waiting to read Brynnde because you’d rather listen to it instead, your time has come! You can get the audiobook here. It’s beautifully read by Stevie Zimmerman, and I hope you enjoy it! Posted on June 20, 2018 Categories announcementsTags audiobooks, BrynndeLeave a comment on Brynnde Audiobook! This is your last chance to pick up Brynnde for free on Amazon Kindle. Remember that you don’t need a Kindle to read Kindle books; just download the free app and start reading! Oh, and in related news: we’re preparing an audiobook version for this fall! Sherlock Holmes Audiobook is here! If you’ve been waiting to listen to my Sherlock Holmes stories, they’re now available in one handy little audiobook! Jared Ashe does an amazing job of reading them! Posted on May 25, 2017 Categories announcementsTags audiobooks, Sherlock Holmes, storiesLeave a comment on Sherlock Holmes Audiobook is here! It’s Brynnde‘s big day! Release day, that is. I hope you’ll take a look. You can read her first chapter right here on this site (look under the Books tab), or look inside on the Amazon page. And while you’re at it, I hope you’ll consider voting for the gorgeous cover on Book & Benches. Meanwhile, an update on the Sherlock Holmes audiobook: a narrator has been chosen, and he has agreed to the job. I think it’s going to be wonderful, and I can’t wait to share the final result when it’s ready. We’re aiming to be done at the end of March. Posted on February 9, 2017 Categories announcementsTags audiobooks, Brynnde, covers, Sherlock HolmesLeave a comment on Brynnde Now Available! It’s time again for the Insecure Writer’s Support Group. 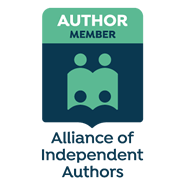 Read and support writers by clicking here, and if you’re a writer you can also join! This month I’m both nervous and excited. Nervcited? A couple of things are happening: 1. I’m putting out a new book in a completely new genre for me. I’ve long loved reading Regency romances but never thought to write one until now. I’d been writing a lot of heavy books and found myself needing a lighter project. I was just playing around, really, but found I loved it! So I’m hoping you will all enjoy Brynnde too, and that I’ll find fellow Regency lovers to read it. 2. I’m doing an audiobook! I attended a talk about audiobooks at last year’s InD’Scribe and it really planted the seed for me to want to have one of my books adapted to that format. I don’t know yet how it will work out, but I’m hopeful. So far I’ve had some great auditions and plan to pick a narrator soon. Stay tuned! As for being nervcited, well, of course there’s the nagging fear of: What if it all goes to hell? What if it all fails? But I’ll never know until I try, right? Question of the month: How has being a writer changed your experience as a reader? I recently noticed this as I was re-reading Dune and then again while reading Anne Perry’s The Face of a Stranger—that my knowledge of “rules” for writing sometimes pulls me out of a book when I notice one of those rules being broken. And the truth is, these writing rules are relatively modern and new, and the books cited above are somewhat older and probably not beholden to those rules. But I still noticed. In the same way that I notice things in movies because I have a film degree and also have worked on film sets. I think any time you have experience in an area, you’re going to notice things, for good or ill. You’ll get the inside jokes but you’ll also notice the errors. I’ve bitten the bullet and am now inviting auditions for an audiobook version of my Sherlock Holmes stories. All three stories will be collected into one audiobook. I’m super excited; it’s something I’ve been wanting to do for a long time. If you’re a narrator, you can find the project on ACX. I anticipate it being up for a few more days, though I’ve already received some wonderful submissions. I can hardly contain myself! Posted on January 28, 2017 Categories announcementsTags audiobooks, Sherlock HolmesLeave a comment on Coming to Audio!